In my fruit bowl, I’m always looking for the Goldilocks banana, you know, the one that’s not too green, not too spotty, just right, Or should I say just ripe? That said, there are times when I want to bake that I am almost willing the bananas in the bowl to go brown. Knowing that patience isn’t my strong point, my mum was telling me that you can ripen them in the microwave but I haven’t tested that out for myself. Have you? Anyhoo, this is one recipe you’ll want your recipes to go brown for. 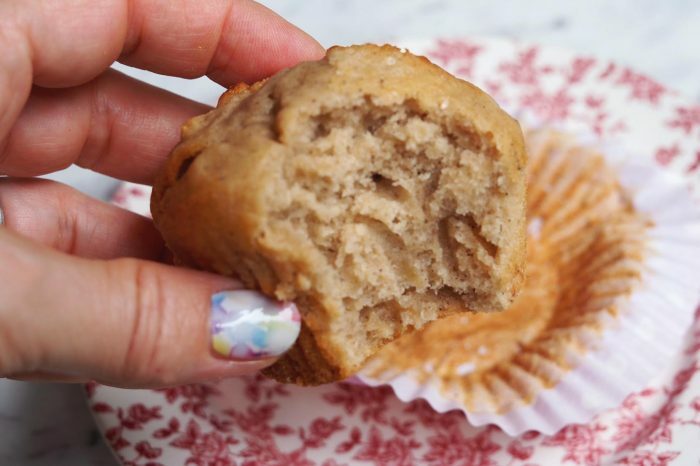 I’ve updated this recipe, reducing the sugar (but not quitting it entirely) because if you use really ripe bananas they’ll add their natural sweetness. 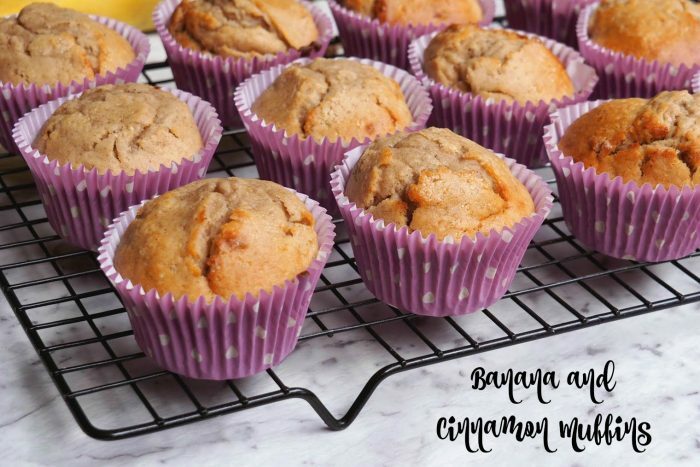 I’ve added a Thermomix conversion and I’ve also increased the oven temperature for the first 5 minutes of baking time, this makes the muffins magically rise, just don’t forget to turn the oven down for the duration of cooking! 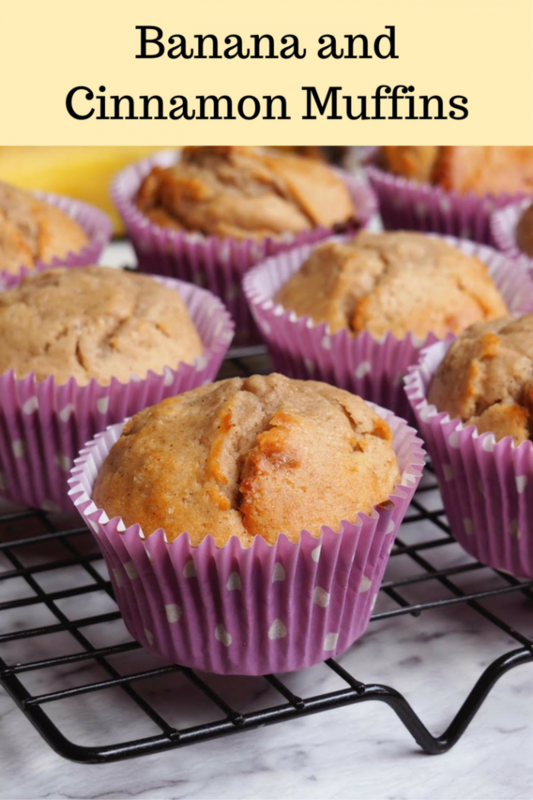 These are the all-rounder muffin, they’re yummy enough for breakfast, go great in a lunchbox and are a terrific time treat. Are you like me, bananas about bananas? Preheat oven to 200C/180C fan-forced. Line a 12 hole muffin pan with paper cases. Sift the flour, baking powder and cinnamon into a bowl. Add sugar and stir into combine. Set aside. Place the sour cream, eggs, vanilla and oil in a separate bowl and whisk until smooth. Stir the sour cream mixture through the dry ingredients until just combined. Sprinkle over the banana and stir once. Spoon the mixture into muffin cases and sprinkle with a little raw sugar. Bake for 5 minutes and then reduce oven temperature to 180C/160C fan-forced and cook for a further 10-15 minutes until cooked when tested with a skewer. Place flour, baking powder and cinnamon into TM bowl. Mix for 5 seconds on speed 6. Set aside. Place bananas into bowl and mash for 4 seconds on speed 6. Set aside with dry ingredients. Place the sour cream, eggs and vanilla into the TM bowl. Mix for 5 seconds on speed 5. Add the dry ingredients and the mashed banana into TM bowl. Mix for 5 seconds on speed 4. Don’t be tempted to over mix! 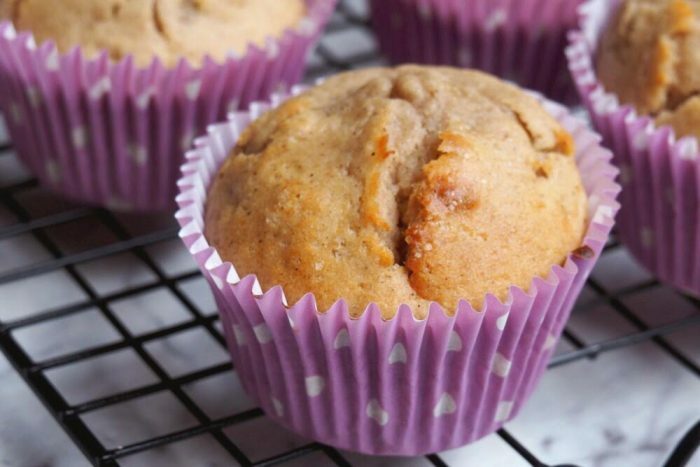 Remember a lumpy mixture makes the best muffins! Bake for 1or 5 minutes and then reduce oven temperature to 180C/160C fan-forced and cook for a further 10-15 minutes until cooked when tested with a skewer. TIP! 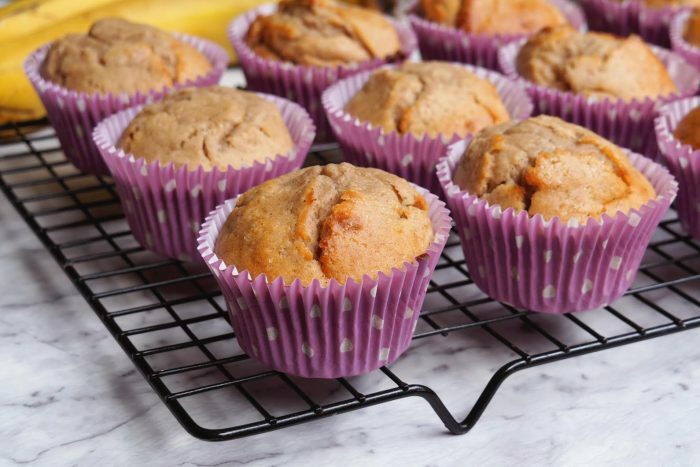 For tender muffins that rise well, stir the mixture evenly and only until just combined. Don’t overwork the mixture.